NEW YORK A young couple expecting their first child were on their way to a hospital early Sunday when the car they were riding in was hit, killing them both, but their baby boy was born prematurely and survived, authorities said. 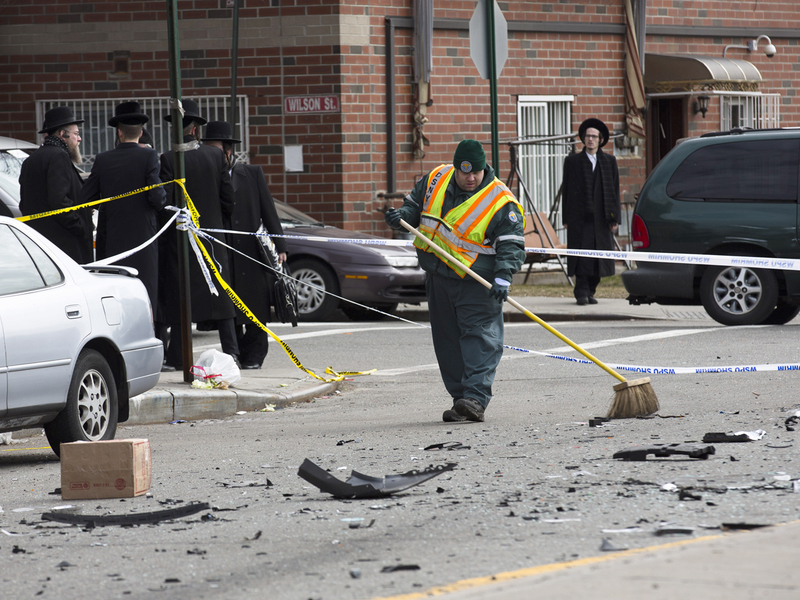 The driver of a BMW slammed into the car carrying Nachman and Raizy Glauber, both 21, at an intersection in the Williamsburg neighborhood of Brooklyn, said Isaac Abraham, a neighbor of Raizy Glauber's parents who lives two blocks from the scene of the crash. Raizy Glauber was thrown from the car and her body landed under a parked tractor-trailer, said witnesses who came to the scene after the crash. Both of the Glaubers were pronounced dead at hospitals, police said, and both died of blunt-force trauma, the medical examiner said. Their infant son was in serious condition, said Abraham, and the driver of their car was in stable condition, police said. Both the driver of the BMW and a passenger fled and were being sought, police said. It's not clear why they were headed to the hospital. Abraham had said earlier Sunday that the couple was going there for the child's birth, but police would only say the trip was related to Raizy Glauber's pregnancy. Abraham later added that members of the Orthodox Jewish community that Glaubers belonged to had called the car service and were told that a car was called for and the destination was a hospital. Abraham often speaks publicly for the different sects in the ultra-orthodox community, which has strict rules governing clothing, social customs and interaction with the outside world. Men wear dark clothing that includes a long coat and a fedora-type hat and often have long beards and ear locks. A funeral for the Glaubers was planned for Sunday afternoon. Jewish law calls for burial of the dead as soon as possible. Brooklyn is home to the largest community of ultra-orthodox Jews outside Israel, more than 250,000.